Friendly AQP a new hostel with everything a backpacker would find in one place, this beautiful home a beautiful hostel where we are sure to be some of the best places where you stayed. 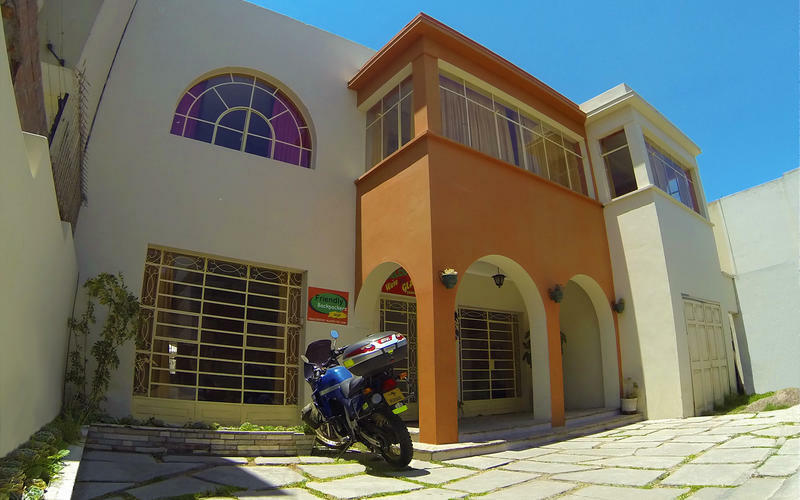 We are located just 4 short blocks from main square and 7 minutes walk and the hostel is located in a residential neighborhood Vallecito no car noise, we are in area surrounded by family homes just a block near the big supermarket PLAZA VEA,restaurant banks, a Great location. 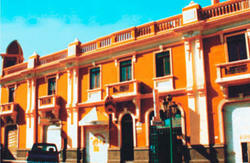 we are in a very safe residential area and ways to reach the main tourist centers are very safe day and night. we have everything you need for your fun and relaxation, we have games pool table, foosball, ping pong, a large room with large comfortable sofas, and a TV room with DVDs, hammocks to enjoy the great sun of Arequipa, a large terrace with beautiful views of the volcanoes misti and chachani, computers for internet and wi-fi throughout the hostel. 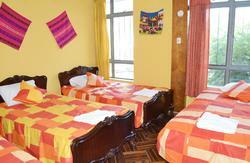 All rooms with large windows and views all new mattresses, sheets pillows all very comfortable and very clean. We have our own Travel Agency at the hostel and we organize daily groups to the colca canyon with different options (Traditional Colca Canyon 1 or 2 days, 2-3-4 days Colca Canyon trekking, Climbing to the volcanoes Misti and Chachani,we also offer you bus tickets, Rafting, etc. We have more than 10 years experience and we have the best guides and an excellent service. When you take a taxi please say the taxi driver that our address is pasaje cusco 203-Vallecito in between avenida lima 120 near to calle consuelo, the taxi has to go down the Consuelo street to reach Avenida Lima Nº 120 and to the right is Pasaje Cusco Nº203 where our hostel is located.